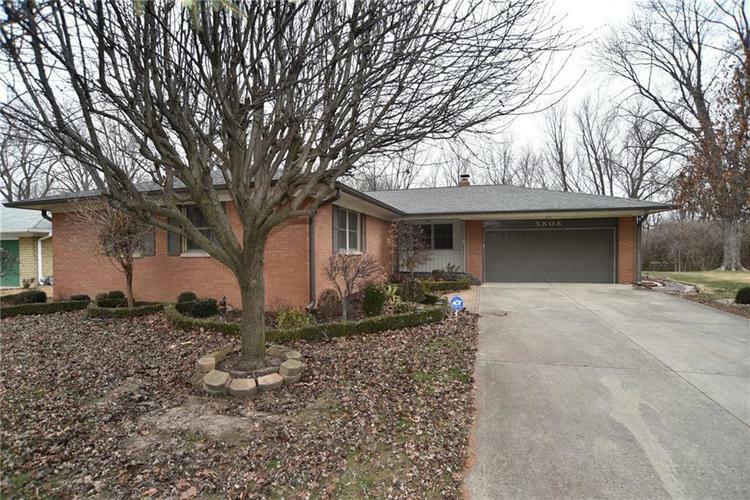 This all brick speedway ranch with a basement has much to offer and many possibilities for your family! Enjoy cool evenings in front of the gas fireplace in the hearth room; the large living rm and dining area feature HDWD floors; you must see the 2 level sun rm/family room with fireplace; cherry cabinets and pantry in kitchen; W&D, pantry & storage in laundry room; hardwoods under carpet in bedrooms; the basement consists of rec room, 4th bedroom, office, storage area, half-bath & furnace rm; The oversized 2car Garage has tons of storage. See Today! Directions:High School Rd to 30th St, East on 30th to Elaine, Left on Elaine and follow to Property.